New York City, 1953. The golden age of television, when most programs were broadcast live. Young Kurt Jastrow, a full-time TV writer and occasional actor, is about to have a close encounter of the apocalyptic kind. Kurt's most beloved character (and alter ego) is Uncle Wonder, an eccentric tinkerer whose pyrotechnically spectacular science experiments delight children across the nation. Uncle Wonder also has a more distant following: the inhabitants of Planet Qualimosa. When a pair of his extraterrestrial fans arrives to present him with an award, Kurt is naturally pleased--until it develops that, come next Sunday morning, these same aliens intend to perpetrate a massacre. 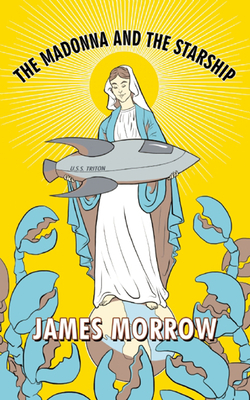 James Morrow is the author of the World Fantasy Award-winning novel Towing Jehovah, the Nebula Award-winning novella Shambling Towards Hiroshima, and the New York Times Notable Book Blameless in Abaddon. His recent novels include The Last Witchfinder, hailed by the Washington Post as "literary magic," and The Philosopher's Apprentice, which received a rave review from Entertainment Weekly. He is a master of the satiric and the surreal who has enjoyed comparison with Twain, Vonnegut, and Updike. Morrow lives in State College, Pennsylvania.